I will walk miles out of my way if I hear even the faintest mumble that somewhere does good fried chicken. I used to be all about the breast and thigh but recently, as recent as my trip around the south, I have become a firm convert to the way of the wing. I’m a fan of the whole wing. Snap off the first bone (the bit that’s attached to the rest of the chicken just below the breast), devouring the meat with fervour; then twist the two bones out of the next section, leaving a huge chunk of meat and crispy skin – I don’t see myself as addicted to food so much as addicted to textures and this has got to be one of the most godliest of textures; then, finally, gnaw on the wing tip like a starving animal because (hopefully) the seasoning is boss. If I ever own a restaurant or food truck serving wings, my customers would get the whole wing every time. I’d like them to feel like cavemen and women; primitive and without the airs and graces that would see them miss out on tearing a piece of meat apart with reckless abandon. For those that share my love of deep fried poultry, here is my recipe for fried chicken. This is only the basis of a good recipe, you can build on this and add whatever herbs and spices you wish and in whatever quantities you feel right for your taste buds. Combine the flours, starch, and seasonings in a bowl and mix well. Add the wings to the bowl and mix to make sure they are well coated in the flour mixture. Put the chicken wings on a tray in the fridge for at least half an hour. This will enable the flour to be absorbed slightly by the chicken, resulting in a better coating. After setting up in the fridge, remove the chicken and allow it to come to room temperature. Add the oil to a deep pan and heat over a medium-high heat. Check the temperature by dropping a pinch of flour into the oil – if it sizzles, it’s about right. With the beaten eggs in one bowl, and the flour mixture in the other, dip the chicken in the flour making sure to coat it thoroughly, then into the egg – again making sure to coat it thoroughly and let the excess drip off, then add it back into the flour. Make sure the chicken is entirely coated in the flour mixture. Do this with all of the wings. Gently place 4 of the wings into the oil and immediately turn it down to medium heat. Keep an eye (and nose) on the wings to make sure they don’t scorch on the bottom of the pan. After 5 minutes flip the wings over. After another 5 minutes, flip them back again. After a final 5 minutes, remove them from the pan and put them onto wire rack covered in kitchen towel (a total of 15 minutes cooking time). This will remove any excess oil. Fry the remainder of the wings. Re-season. I know this sounds like over kill and blah, blah, blah salt content. But trust me. Add a pinch of salt and black pepper and your chicken will sing. If you’ve got hot sauce either drizzle some over the chicken or add some to the side of your plate for dipping. I used the hot sauce I made in my previous post which consisted of peaches, mustard, honey, and 2 different types of chillies. The hot sauce and fried chicken were in perfect harmony with each other. The danger is that I’ll keep cooking this until my inevitable heart attack. There are of course some things that you can experiment with such as brining the chicken in buttermilk (add hot sauce!) or using a different spice palette (such as flavours found in Indian or Caribbean cuisine). You could forego the first step of letting the chicken set up in the fridge coated in flour. You could instead apply seasonings directly to the chicken and let it marinate over night. There are a whole load of things you can do with fried chicken, it’s an incredibly versatile dish – which is why you can see it anywhere on restaurant menus from breakfast to appetisers to entrees. How do you like your fried chicken? Let me know in the comments below. For years I’ve been sporadically making hot sauce for friends and colleagues. I have some regular customers who give me valuable feedback on my efforts. They point me in the right direction if they believe there is room for improvement with the flavour or consistency of a sauce. I love hearing this feedback. Unfortunately, I go through phases when it comes to hot sauce making. Often I will go for months without creating anything. After arriving home from my travels, I decided I was going to have a go at creating some southern inspired sauces. The first of which, a complete experiment that’s loosely inspired by Georgia mustard, I whipped up this weekend whilst watching Forrest Gump and pining over almost unbearable humidity and the beauty of Savannah. From my very basic research – and what I experienced while in Georgia – I found that Georgia mustard is very much vinegar based. I like to use vinegar in my sauces anyway as the vinegar acts as a preservative but this called for quantities the likes of which I had never used before. Quantities I was also unwilling to use! Sorry, Georgia, I know I’ve done you wrong on this one, but I’m being very careful not to call it Georgia mustard. In fact, I’ll retract my whole statement. This sauce is inspired by the peach state as a whole. My original point about making sauce for others was a clumsy segue into saying that this sauce was made with one person in mind: me. I love mustard and I love chillies. I love sauces with a sweet tang to them. So with that in mind I grabbed some tinned peaches, some English mustard powder, and the hottest chillies I could find in the supermarket (scotch bonnet chillies are readily available in most supermarkets in the UK and Tesco’s sells “Komodo Dragon” chillies which measure roughly 1 million on the Scoville scale). I always start my sauces with a holy trinity of celery, bell peppers, and onions. I then add the rest of my ingredients: garlic, chillies, peaches (and the juice from the tin which turned out to be grape), mustard powder, rice wine vinegar, salt and pepper, honey, and water. I bring this to the boil then cover it and leave it to simmer for half an hour to an hour. I blend it up with a stick blender, add a little more water to get to the consistency I require, then strain it till smooth. As the sauce cooks down I am constantly checking the flavour and balancing it appropriately. Another reason for wanting to make this sauce is that I simply love hot sauce and I enjoy it with a lot of different foods. Sometimes a restaurant might not have any hot sauce. It might be that the restaurant in question just doesn’t feel their food does well with it as an accompaniment. To this I say ‘Nay! Hot sauce goes on everything!’ (or at least everything savoury). I will be carrying this sauce around with me with immediate effect. I know I may look odd but at least my tastebuds and chilli-pangs will be satisfied. As I waited at the barbershop, I picked up a magazine. The magazine had very few articles but instead focused on listing the “Top 5″s of New Orleans from the Top 5 nightclubs to the Top 5 places to get grits. A bar called Parasol’s was listed as serving the #1 roast beef po’ boy in New Orleans. This was a big claim to fame as the roast beef version of this iconic sandwich was the original, though now it was possible to get anything from fried oysters to alligator sausage on a po’ boy. Parasol’s wasn’t too far from where I was staying in the Lower Garden District. I walked into the tiny bar area to the raucous crashing of punk music. The man behind the bar nodded to me as he poured a beer for another patron. “How you doin’? What can I get for you?” he asked, his voice barely audible as the power chords thrashed to the galloping rhythm of the drums. “What have you got that’s dark?” I asked. The stout was smooth, cold, and with a strong taste of coffee. It was an easy-drinker that could prove to be dangerous. One minute you’re having your first sip, the next you’re 8 pints deep and about to go home; the fresh air hits you, and your legs forget how to function properly. I ordered it immediately. As someone who loves both seafood, hot sauce, and the process of deep frying, I couldn’t resist. When the sandwich arrived it was much bigger than expected. Lettuce, tomatoes, and pickles dressed a French baguette that had been overfilled to the point of a fried shrimp avalanche. The batter was tinted red with hot sauce though had lost none of its original crunch. The smell of the hot sauce announced its vinegar base with a sharp stab to the sinuses. The spicy shrimp combined with the refreshing coolness of the lettuce and tomato, taking away some of the immediate punch of the hot sauce which instead gradually grew with every subsequent mouthful. I’m an advocate of travelling light. I had packed 5 t-shirts – all of which were black – and 1 light blue long-sleeve shirt. I was wearing the long-sleeve shirt when I looked down and saw that I’d managed to get myself covered in hot sauce. Oh well, I thought, I wasn’t planning on going anywhere and Parasol’s was my favourite type of bar; a dive bar. There were no tourists here (other than myself) and no pretence. Everyone seemed to know everyone and if they didn’t know someone (like myself) then they went out of their way to get to know them. Before coming back to the United States, I had it in my mind that I wanted to visit a plantation. I didn’t get the chance last time I was here so wanted to make a point of visiting more than one to make up for it. I had read a number of reviews and blogs of different plantation tours and how their approach to talking about slavery could differ. 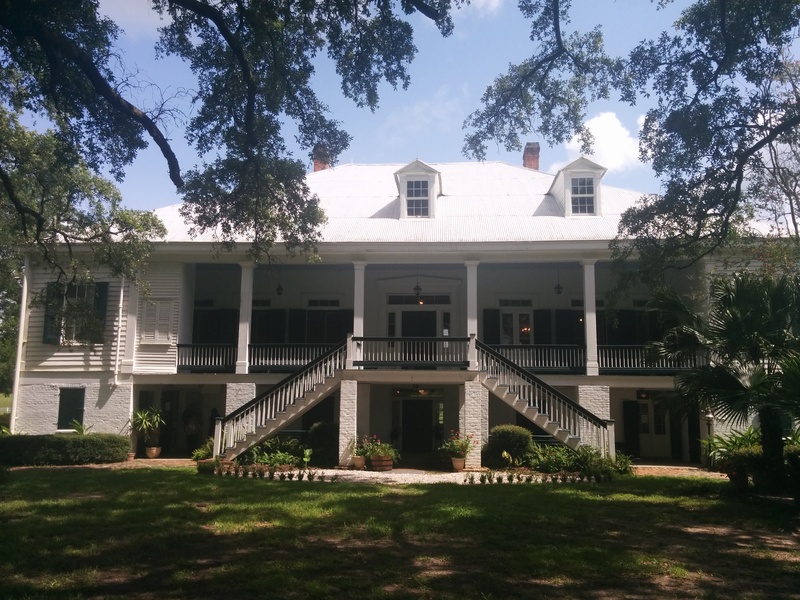 I chose to visit St. Joseph’s plantation and the Whitney plantation. I was picked up at 8:30am by the tour company’s mini van and joined the small group of 6 other people. Over the next 90 minutes our driver discussed a range of topics from reasons why you should never swim in Lake Pontchartrain (bull sharks being my main reason to not take a dip), to celebrities that have found refuge in New Orleans, a city where there is a lack of intrusion into their personal lives; to the history of the city itself. When we arrived at St. Joseph we immediately headed for the big house which was bought by a family after the end of slavery. We were informed that very few families who owned slaves are still in possession of the plantations as many could no longer afford to pay the taxes on their homes and land after slavery was abolished. Instead, wealthy families bought the houses, sometimes employing newly freed people as sharecroppers (which from my understanding was not an altogether better situation from slavery as it kept people in debt to the land owner regardless of the success of their crops). The house contained original pieces of family furniture, portraits, photographs, musical instruments, and toys. There was little talk of the life of the slaves who worked in the fields other than to say that many stayed after the civil war had come to an end. 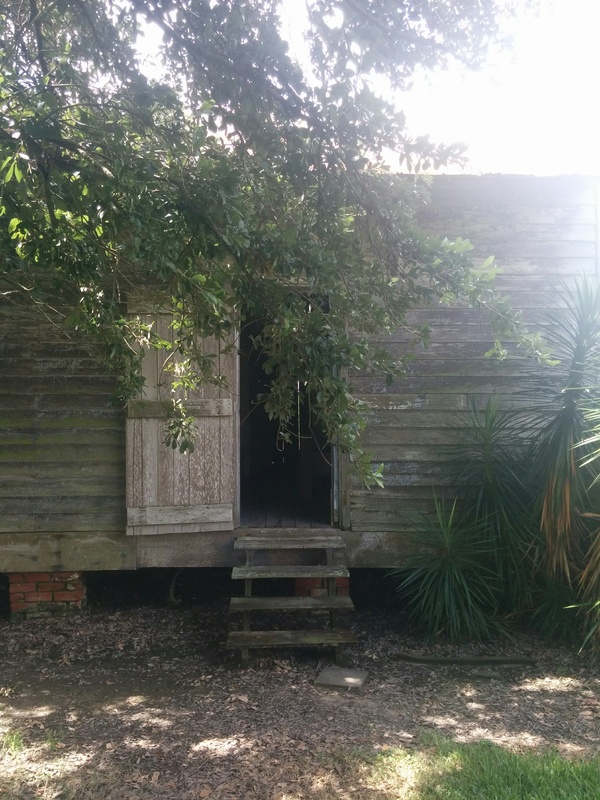 One surprising comment was that the two-room slave quarters, which were certainly not immune to the elements, were people’s homes up until 2001! This begs the question of why did these people decide to suddenly leave at that point and not sooner? I could understand that back when slavery was first abolished that the newly freed people didn’t know where to go and had little means of getting there even if they did know. But to stay until 2001 with little to no improvement on those shacks seemed strange. There was an air of disbelief amongst the group. I hoped it wasn’t true. After the tour of the big house our guide left us to our own devices and told us that we could explore the slave quarters if we so wished but the quarters were not included in the tour itself. When we got to Whitney, the focus was on the men, women, and children who lived and died as slaves. Monuments had been erected in remembrance of these people including statues of the children who were known to have lived on that very plantation; the status were based on early photographs. 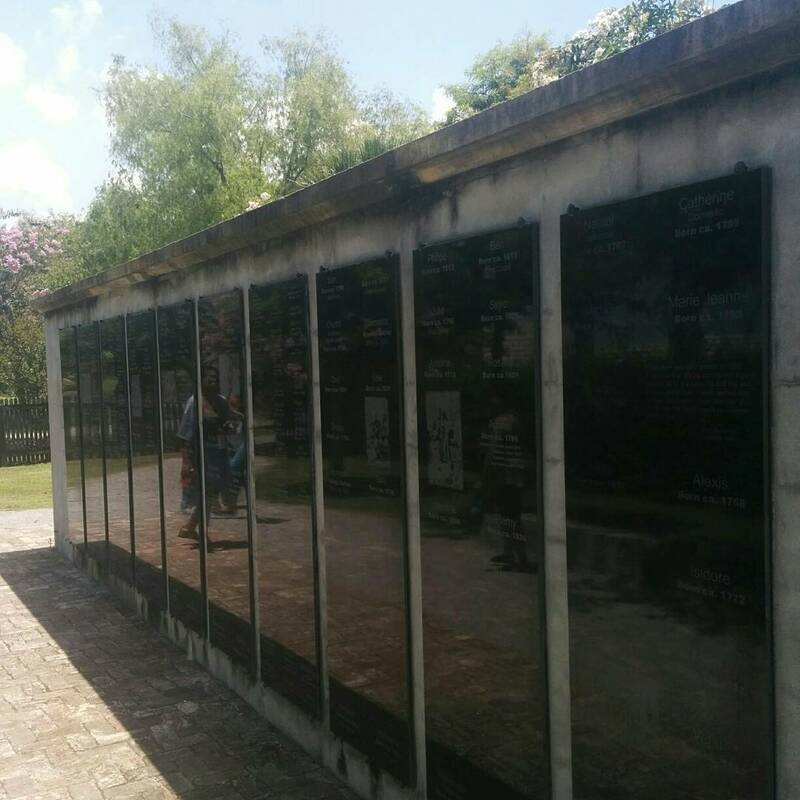 Some of these monuments listed as many names as had been found through research but a portion of the monument had deliberately been left blank in honour of the many who had undoubtedly passed through unrecorded. The group had grown sizably and many had taken advantage of the free umbrellas available; permanent shelter from the sun. It was around 34° but with humidity close to 70%, the walking around temperature was close to an oppressive 42°. Many people in the group, young people, were struggling with the heat. The point was made by our guide that slaves were expected to do back breaking work in this heat: harvesting the sugar crops, stripping the cane, cooking the sugar down in giant bowls, maintaining the grounds, cooking for the master, and so on. One exhibit in particular was set off to the side of the gravel path. It featured sculptures of 60 male heads impaled on spikes. 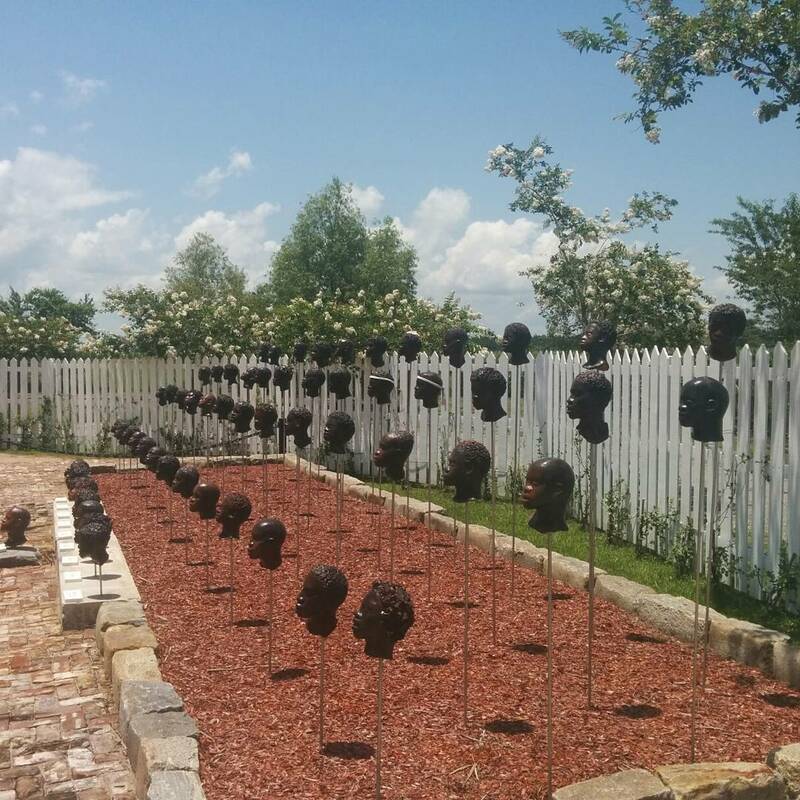 They represented the 60 men who planned a slave revolt in the area, they were caught, and their decapitated heads put on spikes as a warning to others. Whitney Plantation is a must for anyone travelling through Louisiana. It is brutally honest but also somber and respectful. The drive back to New Orleans was quiet. 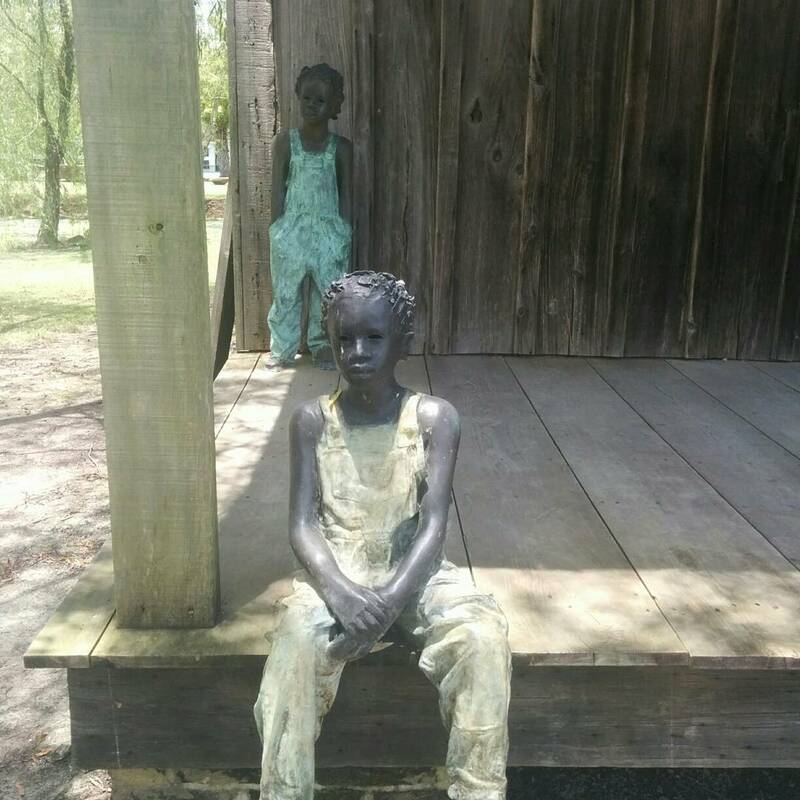 Maybe it was because everyone was tired from being out in the sun, or maybe it was because they were reflecting on what they had seen and heard at Whitney Plantation. As I watched the numerous other plantations go by my window, I wondered how many of them were reluctant to talk about the realities of slavery, and how many, like Whitney, had decided to address slavery in an honest, educational way without attempting to play down the brutality that featured in the day to day lives of the enslaved. Wanna’come to a house party? When I got to Memphis, I met my hosts, Brendan and Yvonne. Yvonne was a full-time sculpture specialising in metal installations. She’d been successfully working as an artist for 14 years. Both Brendan and Yvonne were amazingly passionate people when it came to me getting the most out of Memphis. Within half an hour of arriving, I’d been dropped off at one of their favourite BBQ restaurants: The Bar B Q Shop. Their enthusiasm was well founded. 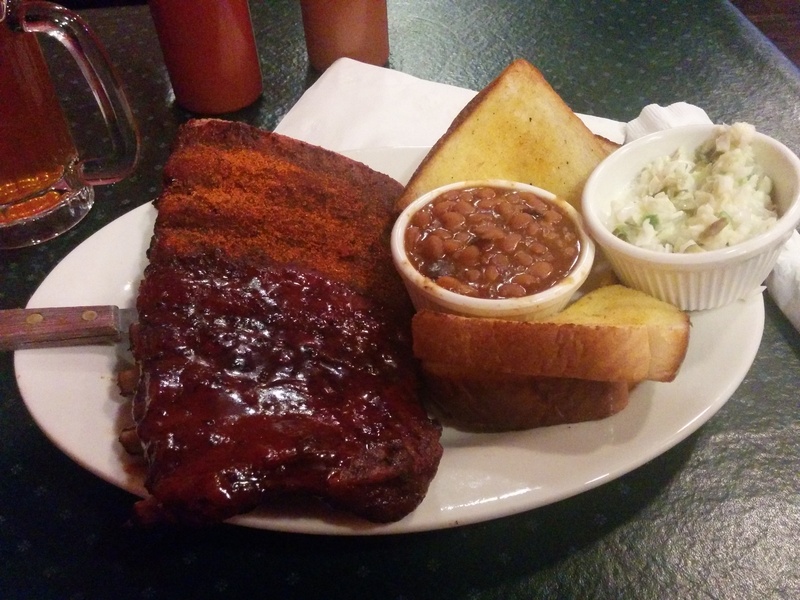 I ordered the ribs (one of my favorite foods) which the waitress recommended that I have “half and half”; half dry rubbed, half glazed. That way I could try the house made sauces on the dry rubbed side “to get the full experience”. The house made spicy BBQ sauce was easily my favourite. Their was no such kick the likes of which you would expect from a sauce that was habanero based. Instead it was more of a slow build that gradually warmed the mouth rather than assaulted it. I’m not sure what chillies were in the sauce but if it did contain habanero, then they were very polite. 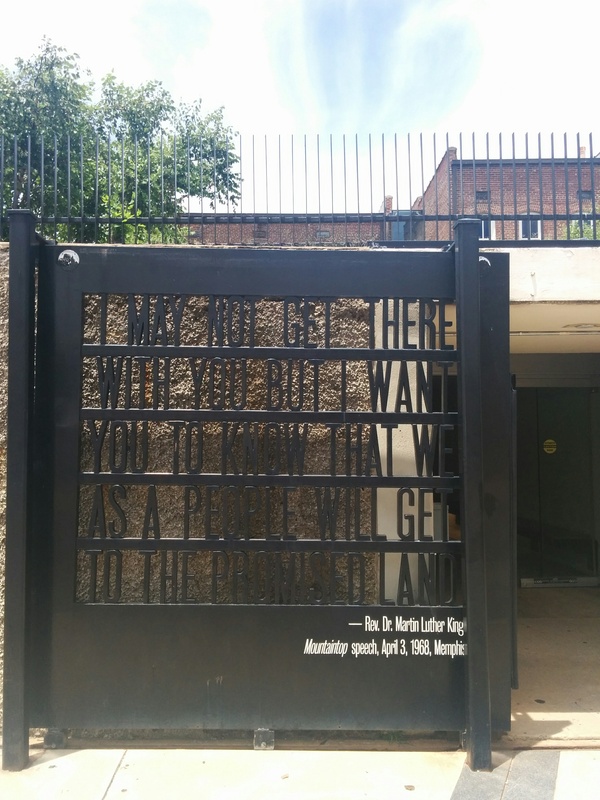 The next day I went to the National Civil Rights Museum which is based in the Lorraine Hotel – the site of Dr. Martin Luther King Jr’s assassination. This would be the 3rd civil rights museum I’d been to on my trip and it was no less powerful for it. 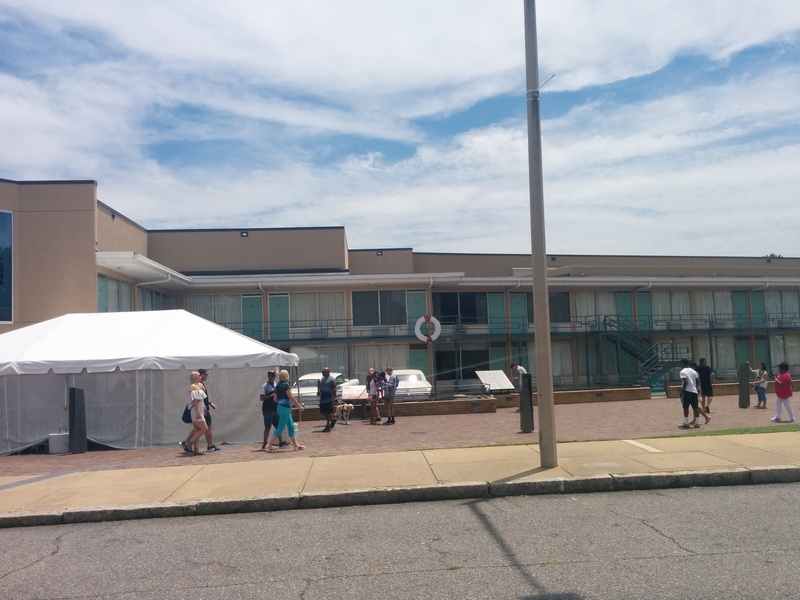 I’d implore anyone travelling through Memphis to visit the museum as a site of historical significance and to learn about the civil rights struggle. After almost 3 hours in the museum, I decided to get something to eat and drink, and to get out of the midday sun. I ended up drinking far too much with a couple visiting Memphis from Missouri. We got talking about boxing – a trigger for me as it’s the only sport I care about. I eventually left the bar around midnight after discussing who I thought would win what upcoming fights, where my money would be bet, and what fights I thought would be scheduled on the backs of my prophesized victories. The lounge light turned off as walked through the door only to turn back on again. At the end of the hallway was Yvonne dressed in stockings and a short black dress, her face made up in white with black tears. I was tired, I was drunk, and I’d spent way too much money. When we got to the venue there were private security guards on the door. They asked us all for I.D which Yvonne and I were able to supply. Brendan’s had expired. Brendan is 15 years older than me so it could be assumed he was OK to go in but the security guards stood their ground and refused him entry. Brendan got back in the truck and drove away, appearing to accept defeat. Yvonne sneaked off to find a way for Brendan to get in. Not even 5 minutes later, Brendan casually walked through the back yard of the house and into the party where awful techno music played as people dressed in fishnet everything danced as they drank overpriced beers. As I sat at the bar in jeans and a t-shirt, I felt overdressed but it was still fun to see people older than me – parents – reclaiming their youth and breaking the rules. I always try to get to the airport early because I’m a natural worrier. Instead of waiting for things to go wrong, I anticipate every negative scenario miles down the road so that I know what to do if any of these situations arise. This occasion was no exception. 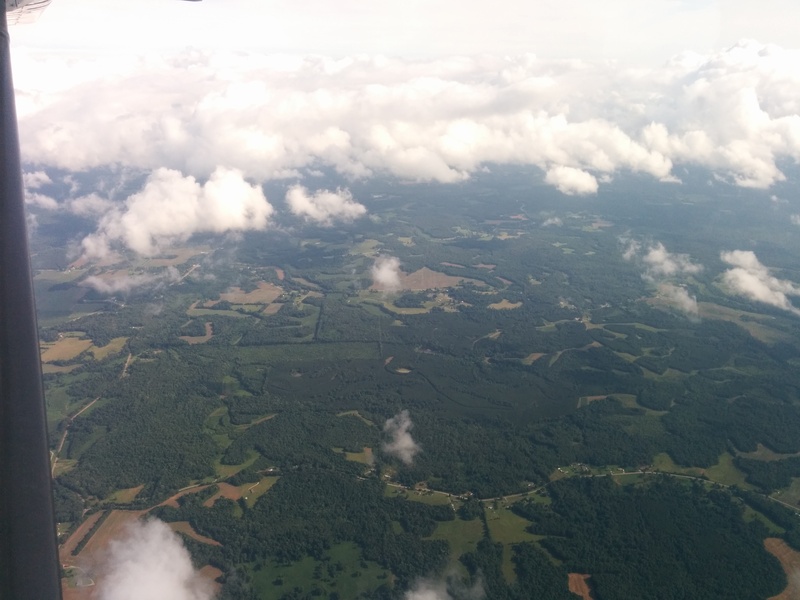 I was flying from Nashville to Memphis because I’d managed to grab a cheap flight. It would last less than an hour and I could spend my time seeing Memphis and its multitude of attractions with more money in my pocket. When I got to Nashville International, there was the tail end of a storm in progress. It was the same storm I had experienced in Alabama; it had slowly moved North before beginning to dissipate. I headed for security upon arrival. I stood in line with my boarding pass ready on my phone but when I stepped up to scan it, the light flashed red on the reader. After a brief conversation (in the “step aside, sir” aisle) I was told by security that they’d never heard of the airline I was flying with. The check point staff then turned their attention back to the people with real tickets and I was left to investigate for myself what was going on. I asked at each airline desk on the main concourse whether they had heard of my airline. None of them had… Until I reached Alaska Air. “The name is ringing a bell. Something makes me think that we’ve had someone with this problem before. Let me ask…,” The woman said. She went into an office behind the counter. When she came back, she handed me a post-it note with a street address and a phone number. I needed to head to a private airfield. It was still counted as Nashville International, but it wasn’t the main airport. This was mentioned nowhere on my ticket, booking confirmation, or the company’s website. When I got to the small airfield (by way of a taxi), I was greeted by a smartly dressed man behind the main desk. “Going to Memphis?” He asked. The lounge was filled with luxurious leather seats and a huge TV mounted on the wall in one corner. The rest of the walls were filled with signed pictures of celebrities that had passed through. Every plane outside was a learjet or similar. Not bad, I thought, for a ticket that cost less than renting a car! I spotted my plane by the logo on the tail. Unfortunately, it wasn’t one of the luxury models that I’d seen. 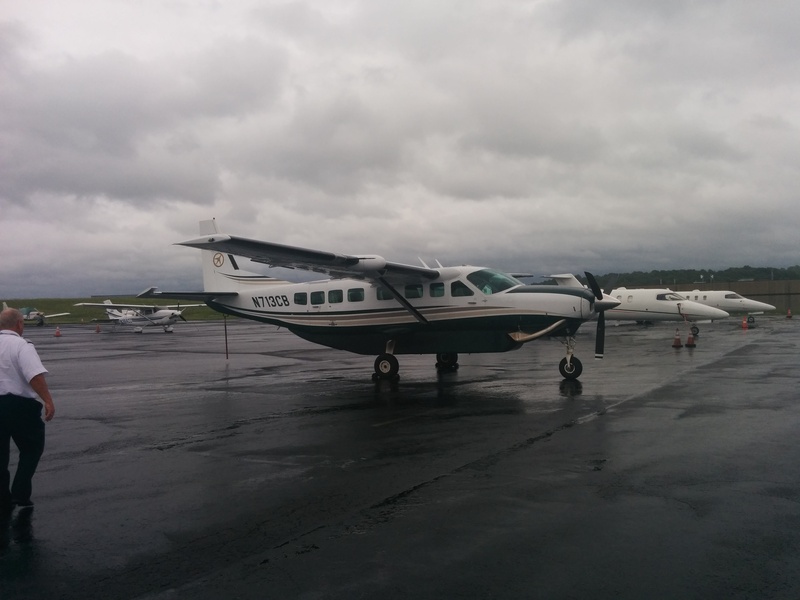 Instead, it was a single propeller Cessna style aircraft. I smiled thinking that this was going to be an experience: a tiny plane on which you can feel every bump in the road on a clear day but this time combined with a storm? I had a feeling it was going to get bouncy. The man sat next to me was stationed in a Nashville army base but was flying to Memphis for his sister in law’s wedding. He said he’d rather fly than drive because driving is boring. I think he might drive next time. He spread himself across the interior wall of the plane and gripped his seat with white-knuckles every time we hit an air pocket, making himself look like a cat doing everything in its power to avoid being put in a bath. At 7am the air was muggy and dark grey clouds covered the skies of Birmingham, Alabama. I packed my backpack and requested an Uber to the airport. The driver, James, short with a ginger goatee, was dressed in a formal shirt that was tucked into khaki trousers. He was an Alabama native who was just finishing his shift early on a Sunday morning so he could get to church. I had expected the question to come up at some point during my stay. I was travelling through all red states and I guessed people would naturally be curious about how their president, the man for whom the majority of the people in these states voted, was being perceived elsewhere in the world. “Obama is behind ISIS, did you know that?” He took his eyes off the road and held my gaze to make sure I knew I was being let in on a huge conspiracy that might not have crossed the pond. My first flight took me to Tampa where I waited for two hours before getting another flight to Nashville. The original plan was to drive but failure to book a rental from Birmingham sooner meant that the good (read: cheap) deals had gone, and flying worked out cheaper. 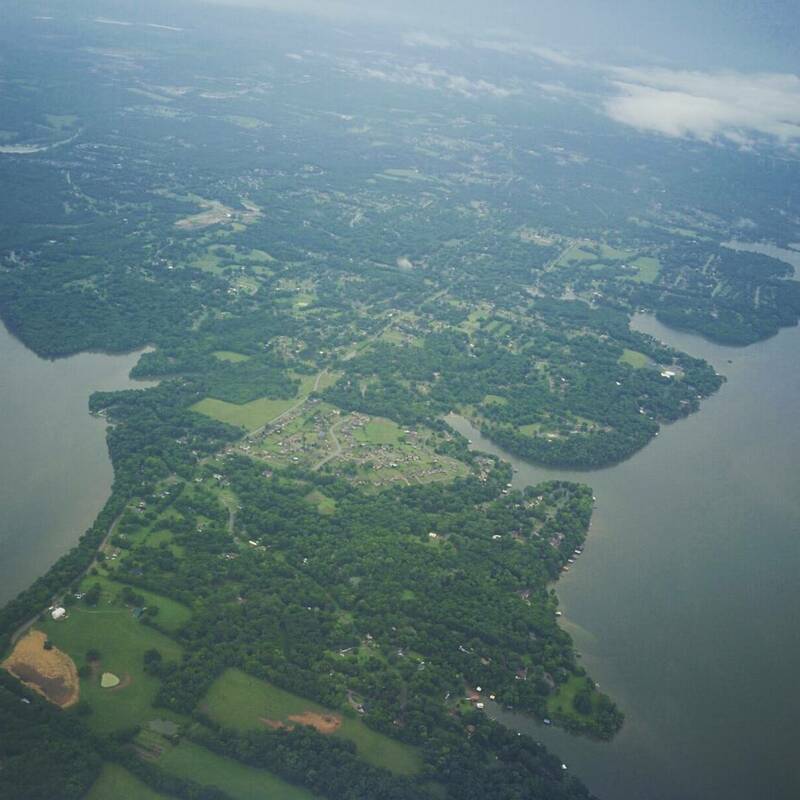 The first thing that struck me about Nashville was how beautiful and verdant it looked. 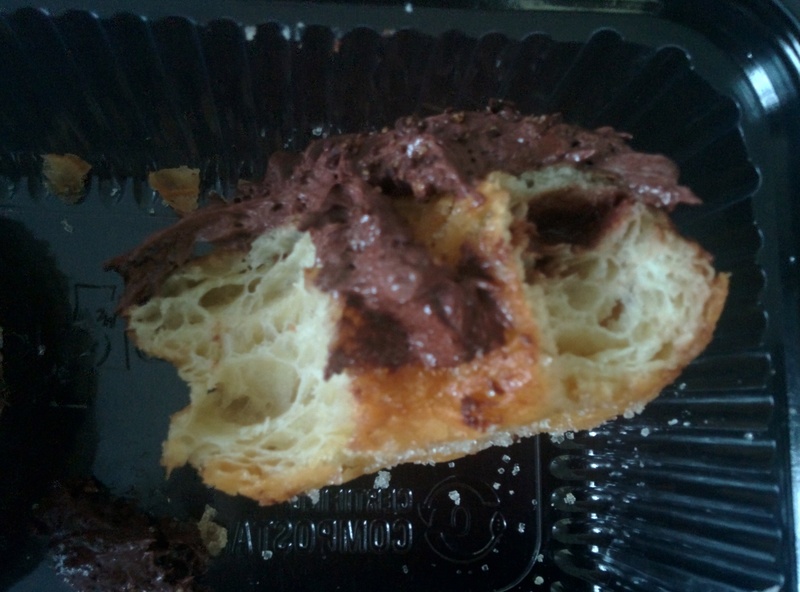 The city was currently under the thumb of a small storm – nothing like the one I’d experienced in Birmingham – but when I reached my accommodation I was greeted by something I’d been meaning to try for a long time: cronuts, provided my by host, Megan. Cronuts are a genius mixture between a croissant and a doughnut, resulting in layers of flaky pastry filled with any number of flavoured creams, mousses, or jams. 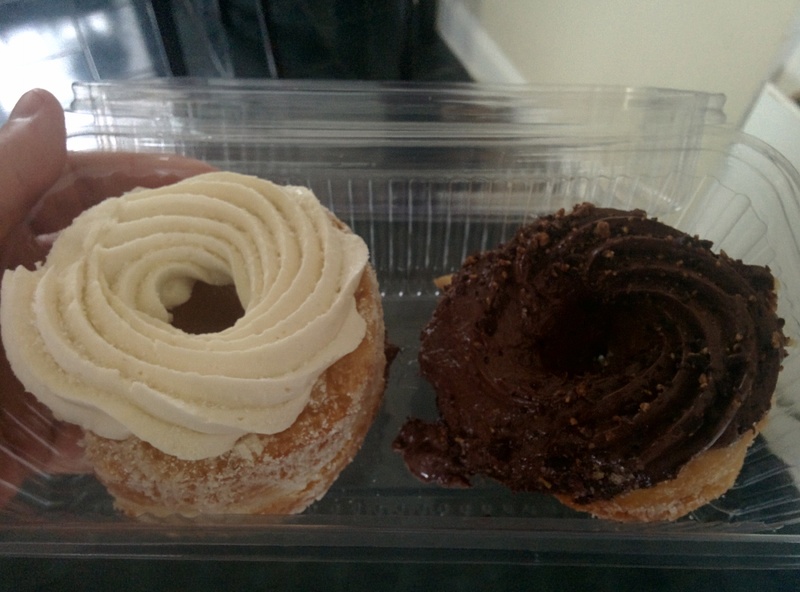 I was presented with a chocolate moose tracks iced cronut filled with peanut butter and chocolate icing. “I can usually only take one bite and I’m full,” Megan said by which point I was halfway to finishing. The second cronut was a vanilla cronut filled with vanilla cream. This didn’t last long either. For the first time in my life, I felt an addiction building and, again for the first time, I had a dealer willing to take my money in exchange for my fix: sweet, flaky pastries.